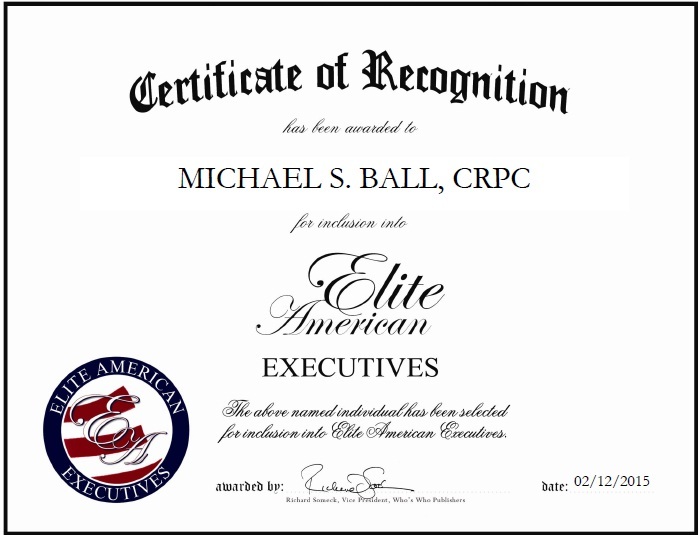 WALNUT CREEK, CA, February 12, 2015, Michael S. Ball, CRPC, Associate Financial Advisor for Ameriprise Financial, Inc., has been recognized by Elite American Executives for dedication, achievements and leadership in retirement planning. With a wealth of knowledge and experience amassed over the course of an illustrious career which spans nearly a decade, Mr. Ball shines as a luminary in his field, bringing forth an array of skills to his position with Ameriprise Financial, Inc. There, he is responsible for overseeing daily business operations and client meetings, and handling retirement planning initiatives. Mr. Ball became involved in his field because he has always wanted to help people. 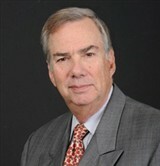 In his current role, Mr. Ball is able to give those with whom he comes into contact the opportunity to protect their assets and plan for a successful future, thereby leaving the legacy they wish for. He provides for them useful tips and helpful retirement planning tools that enable them to maximize their savings, map out a bright future and manage their investments. This entry was posted in Finance, Financial Planning and tagged finance, retirement planning. Bookmark the permalink.